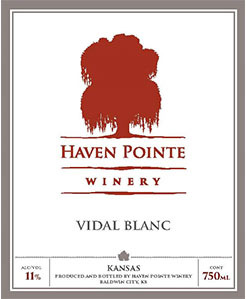 Haven Pointe Winery’s Vidal Blanc is a dry white wine varietal with citrus notes and a floral bouquet. You may contact Haven Pointe Winery if you would like to order wine and have it shipped to you out of state. Learn how to do so here.